It is not often that celebrity descends upon Culpeper, Va. So in the odd occasion that it does, like when U2 lead singer and future world savior Bono randomly stopped into town last week, the local press takes notice. That would be an almost 1,300-word account of his unannounced lunch at the Hazel River Inn Restaurant -- including breathless descriptions of what he ate ("smoked salmon, jumbo wedge salad, crab cakes, chicken Caesar salad, Greek salad and an applewood chicken sandwich with no bread") and how much of a tip he left (a standard 20 percent on a $147 check!). So what was it like for some regular, hard-workin' small town folk to behold celebrity? 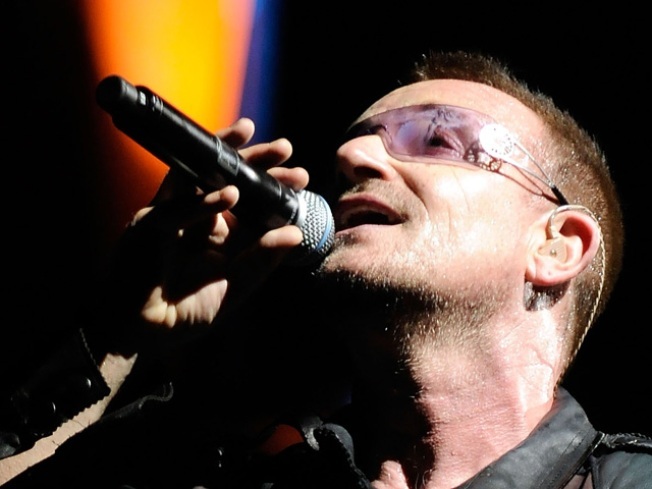 Yes, Bono almost always wears his sunglasses, even indoors. It's his "thing." But was he cool? Frankel got in on one of the last shots, and that’s when Bono threw his arm around her. She said he smelled nice. There you go -- never let it be said that Bono does not smell nice! I always pegged him for a smelly Irish guy, but now I know better. The band's publicity reps didn't respond to the Culpeper Star-Exponent's inquiries about his stop in town, though it likely had something to do with its proximity to Charlottesville, where the band had a scheduled concert that evening.